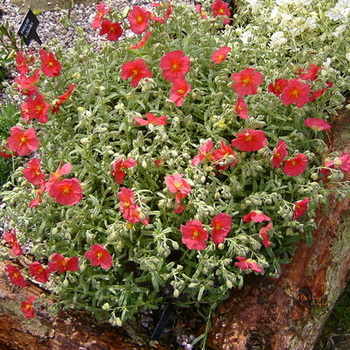 Rock rose with wonderful tomato red flowers. Compact habit. Lovely tomato red flowers. May-July Good on a dry sunny bank. Easily pleased in most soils.